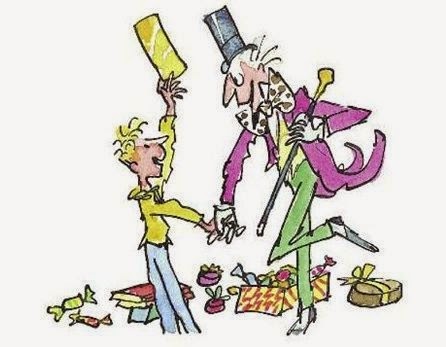 Can you imagine going through life and not knowing who Quentin Blake or Roald Dahl is? SCBWI BI member Heather Chapman recalls her discovery of illustrator Quentin Blake at the ripe age of 32 and shares what she’s learned from studying Blake’s work. It was at that point the person I was speaking with rolled their eyes, walked over to their bookcase, and came back with Matilda. Shame on me, I know. I confess the horror of the situation. How could an aspiring children’s illustrator not know the work, or even the name of Quentin Blake! It’s not that my mother deprived me of books growing up. She didn’t. Growing up in America, my room was littered with well-worn editions of Dr. Seuss, Babar the Elephant, The Berenstein Bears, Curious George and many more. It was a brilliant selection by anyone’s standards but, sadly, Dahl and Blake never made the cut. I began flipping through Matilda and other works by Blake and I admit I was confused. Colours strayed outside the line, characters were scratchy ‘things’ thrown across the page and scenes resembled a nasty accident with several bottles of ink. How is this the work of such a great children’s illustrator? I can only blame the art student in me - trapped in anatomical proportions and sophisticated scenery. Movement, action, expression, colour, voice, and style… the list was endless and I fell in love with the playful colours, individual characters and imaginative scenes. 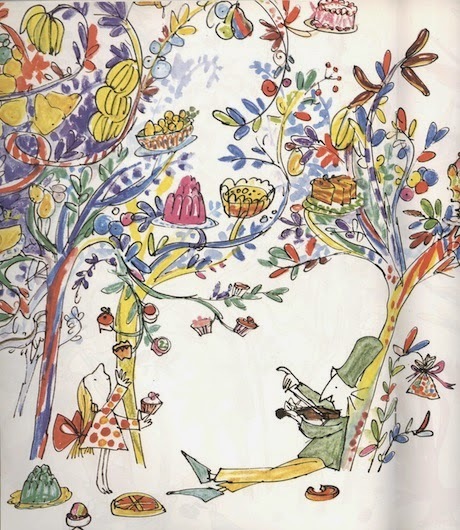 Quentin Blake returned me to a child-like excitement - an “ecstasy of being”. 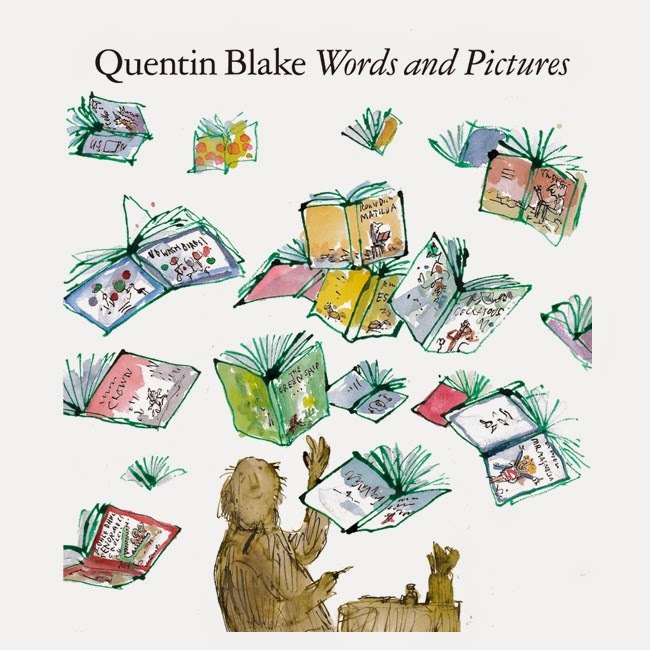 After this initial discovery of Quentin Blake’s illustrations I began to study his work as a student studies the work of masters, and to see him not as a god in the world of children’s books (which he is) but as an illustrator plain and simple. One who started illustrating for Punch magazine then spent the next 50+ years learning, adapting, succeeding, doubting, discovering. As we all do. Last week I purchased Blake’s Words and Pictures and of all the reference books I have lying about my house, this is the best. Filled with anecdotes, experiences and words of advice perfectly wrapped within a single cover, it describes perfectly how us illustrators should approach our work – heck, our life. [Couldn't spell a key word! Sorry. What I meant to say was:] Wonderful post about a magical illustrator. Hadn't seen the picture from 'Patrick' before. Fabulous! When my kids were small we loved QB's illustrations for The Giraffe, the Pelly and Me, especially the bath etc being flung out of the old shop - when it is no longer FOR SAIL, but is SOLED. The illustrations of the tall building sit so well with the text on the page. That's a great perspective, Heather. 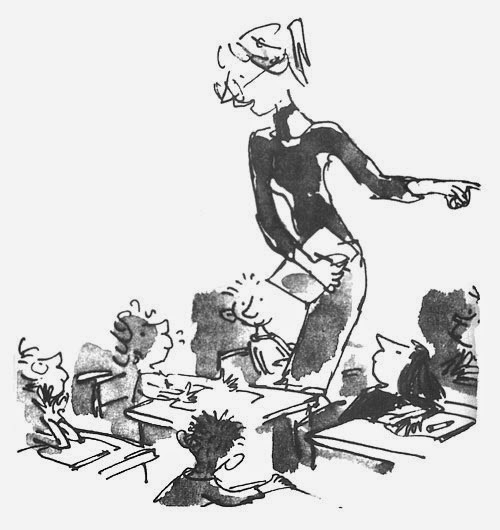 I love 'ecstasy of being" but for me his illustrations are full of wonder, captured in that little wide eyed girl in Miss Honey's class - not sure if she's Mathilda. Love the quotes you picked out from that book which I also treasure and now will return to! Funny how top illustrators don't always travel - I think it is a cultural thing too. 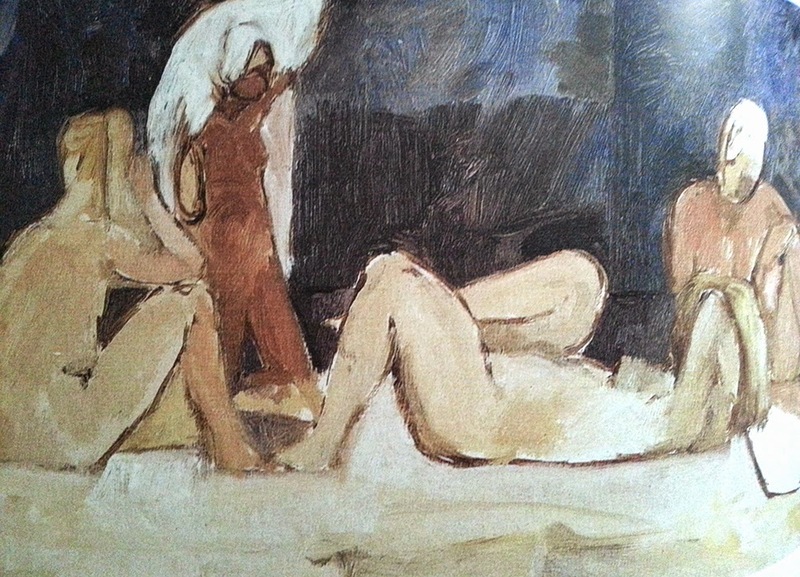 Quentin Blake seems to be less revered in the US although he is quite close to William Stieg and illustrated a book of his..Perhaps, like you suggest, it is the loose spontaneous line that takes some getting used to, especially if raised with more painterly work like that of the lovely US Golden Books? Conversely QBlake is as much if not more of a god in France than in the UK. Another lavish book about his work came out in France before his Words and Pictures book in the UK. There will be an exhibition of Quentin Blake's work at Mottisfont Abbey (near Romsey, Hampshire) from July 19th until mid-September. I can't wait! Forex dealing can be done on the internet. Take a look at the industry styles that are occurring now and use free money system that information to take advantage available on the industry.